To give you an idea of the power and simplicity of the Scarsdale Diet, we've put together a full 14-day diet meal plan below. Let us know your thoughts in the comment section and feel free to download and share the 14 day meal plan with your friends and family. Coffee/Tea/Diet Soda/Water Plenty of broiled (grilled) steak, all visible fat removed before eating; any cut of steak you wish- sirloin, porterhouse, London broil, etc. Vegetables not permitted are corn, peas, potatoes, lentils and any beans, except green beans or waxed beans. If you wish, you may substitute the following lunch for any lunch, any day, on the Scarsdale Medical Diet. Repeat all menus of the first week. It's as simple as that. If after fourteen days, you still need to lose weight, switch to Keep-Trim Eating for two weeks. 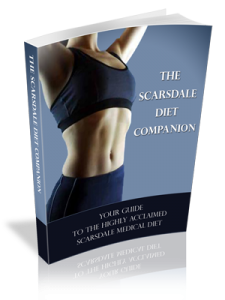 Get the Scarsdale Diet Companion eBook Today! I know the scardalle diet for more than 20 years and it’s really works! Worked out to me everytime I need to loose some kilos, and don’t worrie you I’ll not put back those if you eat health and with moderation on eating junk food,fat ,alcohool,or sweets. Força! Its works,works,works!! I want to loose 6kgs . I want to start the diet being vegetarian I am bit confused for the no veg substitute. Much love to scardale, I needs to eat! Never try not too that don’t make any sense. This is great for all those that have lost weight, but I think the amount of pounds loose is relative to the person’s starting weight in the first place. I only weigh 130 and need to loose about 15 lbs, but I doubt if this diet will make me even loose 3 lbs in a week. I will probably need to incorporate cardio at least 3x or more a week to achieve even that. It has always worked for me .Twenty yrs. and counting. It has been working for me for the last 20yrs. I’m going to try this, I am bookmarking so I can write my results in 14 days from tom. seems like it will be difficult with not much good tasting/reward food. we’ll see. The Scarsdale Diet is the only one that works for me… Especially when u eat out a lot like we do! That’s the great thing about it. It is simple to just go buy your food for two weeks, but if u have to eat out u just make the right choices from the list. Also, it is easy to make & feed other members of the family that are NOT dieting! Forget all the trouble of counting calories & eating boring- same soup every day! This is simple & easy $ WORKS! I have used it over 20 yrs & love the recipes ( in the old book) especially the salad dressings!!!! 27 years ago, went on it 20 lbs for 14 days, then 14 in ten days. Since then I take coffee black. This is the Real McCoy, hahah! the best thing is you learn to eat healthier, but the reason one over eats stress, compensation, o other reason will have to be treated separately, but this diet works if follow to the T.
love scarsdale diet! it never fails me. i discovered this from a coworker 7 years ago. she was about to get married that time and one time i saw her passed by me and didnt recognize her. she lost a ton of weight and in just a month’s time! i’m not really overweight (i was between 117-120) but that time i needed to lose 10lbs so bad so i tried it. i lost 3 lbs in a week, and take note i was cheating for a bit (i love my sweets and i sometimes can’t help going to italian restos)… but still 3 lbs is good! i would also do the kip trim after that and it does help me maintain my weight…when i let go of myself again, specially during holidays, i’ll just go back to scarsdale again…been doing it still til now…. It is day two for me and I’m excited to see some results. I only need to lose about 15 pounds like the previous post so I hope it works. How often are you supposed to weigh yourself? I tried this diet many years ago and I did lose 30 pounds the first month. I have made some bad choices over the years and now plan to go back on this again. My Hubby is going to do it with me. My Mom wants to lose another 10 pounds so she is considering it also. I did this diet and it really work, i lost 10 pounds in 14 days and never feel hungry, thanks scarsdale. along the same line for them to eat. Thanks so much. This diet works. It’s the only diet that works for me when I want to lose weight unfortunately over the years I go back to my old ways of eating rather than following and sticking to keep trim and the four pound stop signal to maintain my weight which is what I am doing now. This diet is easy to stick too once you get into the habit of doing it and it certainly helps me to get a handle of my eating habits and changes the way I eat. I am not hungry whilst on the diet and the meal plans are simple to follow and to prepare. I have recommended this diet to several people. I have been doing this diet for 5 days and went from 220 to 211.6. The most drastic change i have had so far was during the frist 3 days, and have been keeping the wight off. One thing i would advise is to have a stool softer ready and multi-vitamines because of the lack of calcium you get. Also try instead of coffee green tea with mint and lemon grass. Hi do i need to eat all the foods that required in the list in dinner time? I lost a lot of weight back in the late 70’s and early 80’s with this diet. I was in college at the time and it came off easy. Now I am 52 have been on it for four days, I have lost 4 pounds and very happy about that. I will have to be honest and say that I am hungry all the time! The carrots and celery do not fill me up or starve off the hunger pains. I am not really over weight, I would be happy losing 10-15 pounds. I am happy with the 4 pounds in 4 days, but my metabolism has definitely slowed down. I was on this years ago and it does work….however, I was ALWAYS hungry. I said at the time that I would strangle the good doctor, but girlfriend shot him first!! My mom and I are both on this diet right now. My mom and dad did it in the 80s and always lost weight with it and have been going back to it ever since when things get a little out of control! I am addicted to sugar and this diet helps me to kick the addiction. I have to do it for about 12 weeks alternating keep trim with scarsdale diet and then you can put sugar in front of me and I have no desire to eat it. I do the diet for about 12 weeks every two years and then other than that eat what I want and I have been able to maintain my weight within 5 lbs from my senior year of high school. I am 5’4” and normal weight is about 140 lbs, very muscular, size 4 or 6 just to give you an idea. My mom is 5’7” somewhat muscular and around 145 lbs. My Dad is 6’2” and weighs about 250. Just to give you an idea it works for all body types. It is a great eating plan and can be modified to fit gluten free, calorie/point counting, or paleo lifestyles. I am on day 3 and have lost 3 pounds in the first three days. It is very hard for me to say no to dessert during this diet but I remind myself that after I do the diet I won’t even want it anymore. Literally sugar doesn’t taste the same after you do this diet and you will begin to crave steak and veggies! It is hard during the first round but it gets easier. My husband and I are both on this diet plan right now. Within the 2weeks my husband lost 12lbs and I lost 6lbs. His goal was to drop 15-20lbs and my goal was 10-15lbs. He has changed to the modified diet plan and I am still working on dropping 10lbs more. We both have also increased our exercise regiment and that has also helped with not only dropping the weight but toning along the way. We are both 52years old and my husband is 6foot and now weighs 200, I am am 5foot and not weigh 126, my goal is 116….so I shall continue to work on dropping my last 10lbs….Scarsdale does work…. I tried this diet 20 years ago and it worked great. Going to try it again because with Menopause I have put on 20 pounds. I went on this diet years ago and it worked great! I am starting again on Monday! I can’t wait! This diet really works. I did this 5 years ago and am going to do it again. I’ll check back in. One thing, I don’t like eggs. I just skipped them but would like a substitue. The older I get Im finding it really difficult to lose weight, even with religous excercise. Going to start Monday. I’ll check in two weeks from then. MY family on both sides are heavy, I remember my mother reading the Scarsdale diet book back in the 70’s and losing a ton of weight, I was only in JR High back then and did not need to lose weight at that point but after my children were born I packed on an enormous amount of weight and reaching a whopping 242 lbs. I tried all the fad diets and pre-packaged diets and would lose 10- 15 lbs. here and there but never as much as I needed, then I came across my moms Scarsdale book and decided to give it a try, In short this diet works and you don’t have to starve to do it, I lost 100 lbs and continue to use this diet to maintain my weight!! I don’t like cottage cheese, what can be substituted for that? I have lost 4 lbs. in 3 days on this diet. It makes you want to keep going. I cannot wait for the scales to talk to me in 2 weeks! Just drink lots of water or green tea with lemon, or a diet soda to keep full in between meals. I am allergic to most fresh fruit and any kind of nut. What should I use in place of? First time on it and this the most amazing diet plan in the first week I lost 12lbs. I didn’t feel hungry and meals are great. I don’t eat red meat or pork so for me to be able to substitute awesome. what can lamb be substituted for? I see a lot of talk from doctors and such against this diet. Well, I’m here to tell you it’s the best diet you ever want to try … AND actually lose weight. Why take diet pills that can lead to other issues because of the ingredients in them? My first go at this diet was back in the 80’s when I desperately needed to lose weight. In 30 days I went from 167 lbs. down to 143 (my normal weight is 125). Do not deviate from the diet … stay on it as much as possible. Substitute only what is allowed. I promise you … you will not be disappointed. Even if you lose all the weight you set out to lose, you can still stay on it with no ill effects. In other words, stay with the breakfasts every day. Or the lunches … this diet is not that hard to swallow, and the ‘Ends’ definitely justify the means! 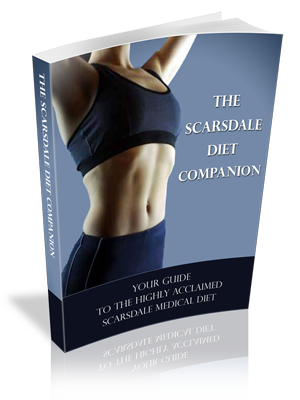 Used the Scarsdale Diet 20 years ago and it worked great! Now menopause and inactivity have added on the pounds. It’s time to get rid of the excess weight and begin the rest of my life a fitter, healthier woman. I owe it to myself to get control of my eating habits. I’m so excited about beginning the diet that I’m going to start on Friday instead of waiting until Monday. At 61 I expect a little more difficulty losing weight this time around, but I’m worth it. Good luck to me! I am in the diet its amazing!! Honestly don’t think just do it !! It’s great ! I lost 12 pounds in 1p days without being hunger. is it safe to repeat scars dale diet after 14 days past. I want to do it again to lose more, will it work? In 1982 and again in 1996 I lost 12-15 lbs . I will now be starting the 14 day diet to lose the excess weight gained over the past 2 years. Can you eat as much meat as you want and veggies? Following this to the letter I released 40 lbs in 6 weeks; 20lbs the first 2 weeks, 10 the next 2 using the maintenance plan, then another 10 the last 2 weeks when on the modified plan. Hello. I have been running back and forth to this diet plan for over 15 years. I started again two days ago to get in shape for my 60th Birthday. I can not begin to tell you there is no other diet that does what this diet can do for you as long as you follow it to the core. I have tried other diets but always ran back to this diet. To be honest, I never did the keep trim, but I will now. This diet is healthy, and balanced. I love the results I see in the first 5 days. Try it. I guarantee you, you will not be disappointed. Many local health food stores now sell high protein loaves of bread. You can also order it online, like here, and have it shipped straight to your door. With any meal plan it’s important to make it as convenient as possible for yourself. Will it be fine to drink wster with all three meals because it says just coffee/tea for breakfast.?! I’m out of veggies for the night. Can I eat some fruit instead???? As long as you’re eating the raw version of the fruit and it’s only a small portion of your meal, then you’re able to replace the veg with some fruit. I used the diet, many years ago…I did it 2 weeks before my yearly cruises, because you know how much food is available on those! It has been about 18 years since I did the diet, but now need to drop some excess due to heart surgery several years ago, when I cant exercise much. Day 2 just past and I have problem adjusting to it. For years, I have only been eating 1 meal a day..between 7 and 9pm each night. I know I won’t be eating 3 meals a day, maybe coffee and the toast a few time…but a day with a lunch and dinner would be pushing it. Anyway, the bottom line is that back in the 80’s and early 90’s (when I would eat 2-3 meals a day) I would be between 18-23 pounds in loss the two weeks. I never had any problems and think it works wonders. I first used this diet in the mid seventies and lost ten pounds in a week. Have used the diet several times over the past 40 years. I am 6’2’ and weigh 201 lbs. My ideal weight is 180lbs. My problem is alcohol, which believe it or not, alcohol negates the affect of caloric deficit. The good doctor stated that n his book, but he said he did not know why. Believe me you are wasting your effort if you consume alcohol while on this diet. I am starting Scarsdale tomorrow and trying to do my best to abstain from alcohol. I am an alcoholic, so wish me luck. Will give an update in two weeks. My family went on the Scarsdale , diet and followed it to a tee. We were supporting our oldest daughter on her journey of a twenty pound weight lose for her prom night. Even to the point of taking lunch to school everyday and eating in our van in the parking lot. We have all lost weight. Dad 25lbs, myself 15lbs, daughter #1 20lbs, daughter #2 didn’t do the diet (no need to, but uses it now, specialy after baby) daughter #3 15lbs, & son 18lbs. They are all grown and continue to use Scarsdale, constantly borrowing my books. Hum!!! maybe Christmas present’s this year!!!!! The Scarsdale diet really does work period! I would have to agree with another post…no other diet does for me, what this one does. I always come back to Scarsdale and when followed achieve amazing results & feel Great! This is the only diet that I have tried that works for me. I have actually made the protein bread because in addition to being hard to find in stores , it is too expensive. The diet does work! You just have to make up your mind that you are going to stick with it. You see weight lost daily, that is the part that I like. It gives you an incentive to keep going.